September 17, 2015 - Boeing today announced that 747 fuselage panels will be built at its Macon, Georgia facility beginning in 2018. Boeing will take over the work from Triumph Aerostructures, Vought Aircraft Division, a wholly owned subsidiary of Triumph Group, Inc., with the Macon site providing assembled fuselage panels to Boeing's 747 final assembly line in Everett, Washington. Boeing and Triumph Aerostructures have worked together to ensure a smooth transition for the 747 supply chain. "Boeing's choice to manufacture these vital pieces of equipment at their Macon-Bibb County facility is further indication that Georgia is home to a highly-skilled workforce and a world class infrastructure," said Georgia Gov. Nathan Deal. "I am confident that their production will continue to thrive as a result of this decision, and I look forward to seeing the positive impact this project has on our state upon execution." Boeing and Triumph Aerostructures have worked together for many months to ensure a smooth transition for the 747 supply chain. As part of this detailed process, the Boeing team selected the Boeing Defense, Space & Security Macon facility for 747 fuselage panel work. Defense work currently performed at the Macon site includes replacement center wing sections for the A-10 Thunderbolt II, as well as sub-assemblies for the CH-47 Chinook helicopter. Fuselage panels for the C-17 Globemaster transport airplane were also produced at the site until earlier this year. Current defense work at the facility is scheduled to be complete in mid-2016, at which time Boeing will transition the site for Commercial Airplanes work. Facility staffing will be temporarily reduced during the transition. The site will ramp up to full production on 747 fuselage panels by mid-2018, at which point it will employ up to 200 people. Macon will become the twelfth manufacturing site for the Boeing Commercial Airplanes Fabrication organization, which has operations in three countries. "This is good news for Boeing and our customers," said Bruce Dickinson, vice president and general manager, 747 program, Boeing Commercial Airplanes. 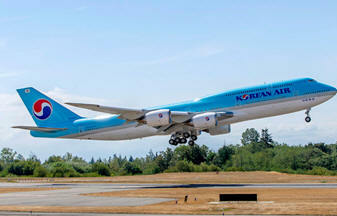 "The 747 is an iconic airplane and a key part of our product strategy. We appreciate the many years of support provided by Triumph Aerostructures and its predecessors Vought and Northrop in building this great airplane. Looking forward, the Macon facility provides us with a new source for metal fuselages as we work to address market demand and requirements for affordability." Boeing will invest approximately $80 million in employee training, tooling and building modifications over the next three years. "Boeing Macon has an outstanding heritage of high-quality aerospace fabrication, supporting those who serve our nation," said Obie Jones, vice president, Quality & Manufacturing, Boeing Military Aircraft. The fuselage panel assembly transfer to the Macon site is the first of several new work packages for the 747 currently supplied by Triumph Aerostructures that Boeing will announce in the coming months. Other 747 structures work now done by Triumph Aerostructures, including the empennage, floor beams and flight surfaces, is currently being competitively bid to selected suppliers. Boeing expects to have sourcing decisions for all the work completed this year. At Macon, Boeing will equip the site with new tooling and equipment, which will occupy the entirety of the 220,000 square foot facility. A new advanced manufacturing production system will reduce the time to produce fuselage panels while also increasing quality and enhancing employee safety. "This is another great example of how we can leverage the resources of the entire Boeing Company to create greater value for our customers," said Kent Fisher, vice president and general manager of Supplier Management, Boeing Commercial Airplanes. "While our initial focus is on production of fuselage panels for the 747, the Macon facility provides us a high-quality alternative for structures work currently outsourced to other suppliers. It's also an attractive option for developing new airplanes." The Boeing 747-8 Intercontinental and 747-8 Freighter are the newest, high-capacity 747s that offer airlines the lowest operating costs and best economics of any large passenger or freighter airplane in its class – while providing enhanced environmental performance. This latest family of 747 jetliners meets airline requirements for a passenger airplane that serves the 400- to 500-seat market and for a freighter that continues the leadership of the 747 Freighter family in the world cargo market.